Project Fulfill Art Space@Art Basel HK 2016/We will see you in Art Basel HK @展位(‪#‎1C25‬) The pioneer of Taiwan sound arts WANG Fujui will present one of the most important pieces Sound Dots in the booth. This sound installation delivers the message that addresses the relationship of contemporary life and computing machines.In Seeing Sound, the artist tries to create various possibilities for images through frequency variation or mixing. Accordingly, it is a visual installation that produces images with inaudible sound. 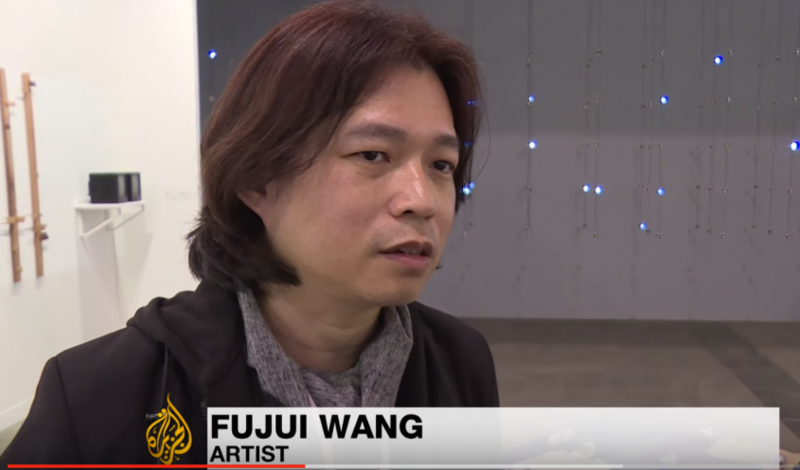 Fujui Wang is interviewed by Al Jazeera English News~! check this out~!! !